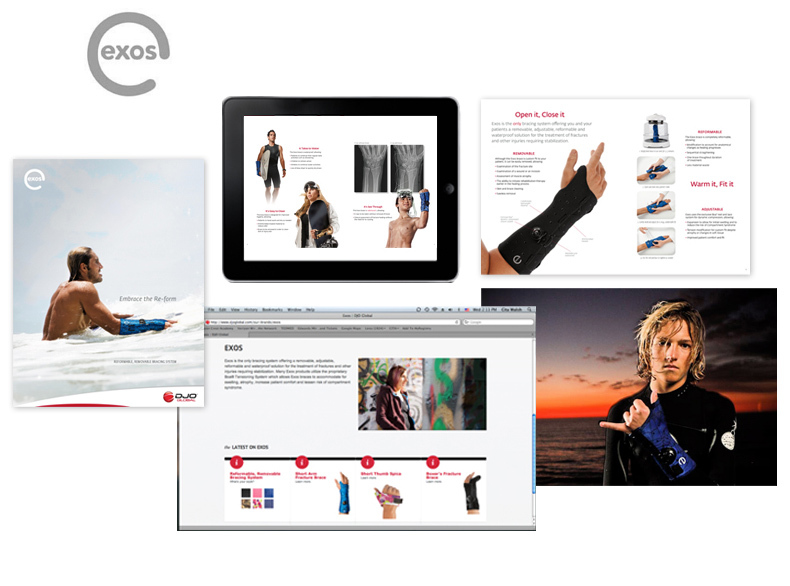 The launch of the Exos bracing system provided an exciting opportunity for distributors to introduce a unique orthopedic product for the treatment of fractures and other injuries requiring stabilization. Cita lead the creative team in the development of the product positioning to simplify the messaging and bring the product’s many benefits to life. The visual brand platform leveraged striking photography to feature the waterproof brace in action. Concise copy was used to capture how easy the brace is to remove, reform, and adjust. This expedited launch included the creation of a value proposition brochure, selling guide, fitting video, price sheet, web content, and e-newsletter. Online videos were produced featuring actual patients including a teenage surfer and an Olympic BMX rider.